The Clarke CFC2000 workshop crane offers rugged construction combined with the convenience of a compact, space saving folding crane. As such, it is ideal for use by both DIY car enthusiasts and professional garages. 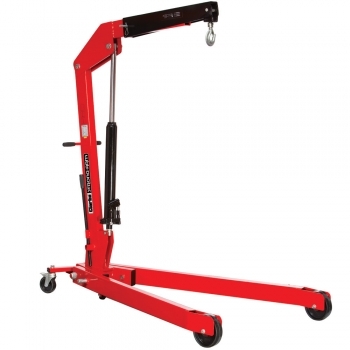 A three stage extending jib offers excellent lifting range whilst long legs, with heavy-duty castors and wheels, ensure ample stability and manoeuvrability.